Today’s Microsoft is one of the biggest open source contributors around. Over the course of just the last few years, it has essentially built Canonical’s Ubuntu distribution into Windows 10, brought SQL Server to Linux, open-sourced core parts of its .NET platform and partnered with Red Hat, SUSE and others. 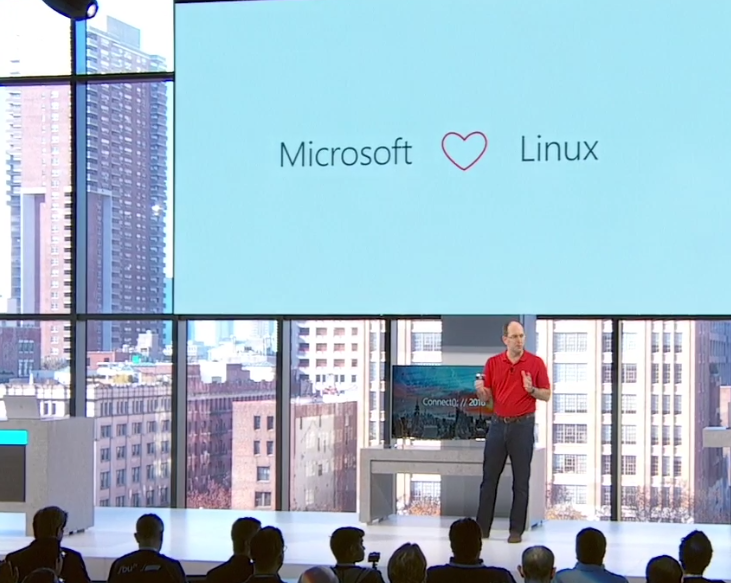 As Zemlin noted, Microsoft has also contributed to a number of Linux Foundation-managed projects like Node.js, OpenDaylight, the Open Container Initiative, the R Consortium and the Open API Initiative.